Finding online information about Tijuana taco places and seafood restaurants – even Brazilian food – has gotten easier. El Mesero – or “the waiter” – is a Spanish-language restaurant web site based on the Yelp model of rankings, recommendations and handy maps. I find the service interesting because I am studying the creation and management of online communities at the University of Southern California and so I naturally gravitate to examples of how this intersects with the border. On El Mesero, You can find Chinese food in Tijuana and track down the nearest Tacos el Gordo, a popular cross-border chain that started in Tijuana. Since much of the content appears to be user-created, you won’t find everything. Try searching for a McDonald’s in Tijuana and you are out of luck. But Bob’s Big Boy, a favorite Tijuana burger establishment here, shows up. Menu listings are available for some of the places, as well as links to the restaurant sites. Tijuana had 2,116 food places on the site when last checked. Looking up Brazilian food, I was glad to find Pampas, a Zona Rio restaurant I like for its succulent meats and robust salad bar. Spanish-language information is available for other cities in Baja California and around the world – including San Diego – though places like Moscow (with just one listing) still need to be fleshed out with content. I exchanged emails with the founder of the site, Francisco Ito, of Tijuana. He says he is a web programmer – not a restaurateur. He said he started the site because he saw a need to create an online directory and community forum of food and drink establishments, and I agree that is something that has been sorely missing in Tijuana. El Mesero can be found at http://www.elmesero.com/. I am posting some of the information he sent me (in Spanish) to the comments section below. . . While buying newspapers in Tijuana earlier this month I was surprised to count the jangling change in my hand: There were definitely a few more pesos than usual. I remember the exchange rate was about 8-1 when I started working in Tijuana in 2000 and around 11-1 when I stopped working in Tijuana seven years later. 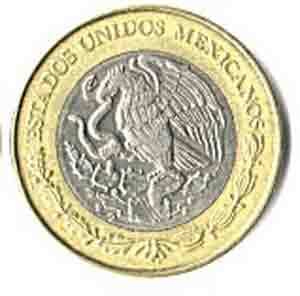 This month, however, the exchange rate dipped to almost 14 pesos to the dollar. This means that my dollar is buying me substantially more food, drinks – and newspapers – south of the border. Normally, this would be a great thing for tourists, and maybe advertising the exchange rate could attract some visitors who have been staying away from the region due to a wave of drug-trafficking violence. But I’m not sure that a favorable exchange rate for us is good for Mexico. A story in La Jornada newspaper notes that the peso’s depreciation is due to the global crisis and points out that the U.S. auto industry’s problems are likely to impact Mexico where many of these car parts are manufactured. Another story in the San Antonio Express-News explains why it is that large Mexican companies that have depended on the dollar for financing their operations are now being affected negatively by the exchange rate. And Mexbiznews.com reports that former Mexican President Felipe Calderon Ernesto Zedillo is ominously calling the current crisis “a moment of truth” for Latin America. To keep tabs on the exchange rate, go here. It was 13.5 when I filed this post. Photographer Eros Hoagland has been crossing borders as long as I’ve known him, documenting conflict hotspots around the globe in places like Iraq. He has been spending the last few weeks in Tijuana, where I recently caught up with him. A bit of background: I met Eros while I was freelancing in Nicaragua during that country’s 1996 presidential elections, and we teamed up a few months later in El Salvador to work on a story about deported Los Angeles gang members. Since then, Eros has spent significant time in Iraq, Colombia, Eritrea, Guatemala, Peru and El Salvador, which is where his photographer father was gunned down in the 1980s while covering the conflict for Newsweek. In between the freelance gigs with organizations such as The New York Times, Eros has been working on a project that involves documenting border “lines.” Beyond the obvious one – the border fence – Eros sees lines, angles and intersections in less conspicuous places: The glass shards from a violent attack, for example, or in the creases of worry etched in a forehead. In doing so, he captures the fine lines that separate us while revealing our shared humanity. To see more of Eros’ work, go here. During one of my Tijuana visits I read an article in Frontera newspaper that prompted me to tear the page out and stuff it in my purse. The story was easy to overlook next to the latest rounds of drug-related decapitations, dumped bodies and vats of acid. But like many things in Tijuana, if you dig deep enough you will find uplifting tales of hope and perseverance. It’s a story about a 33-year-old Mixtec Indian called Moises Rodriguez. According to the story by Laura Duran, Moises came to Baja California when he was 13 and didn’t know a word of Spanish. Now he’s the president of an association called Nu Savi de Baja California (Unfortunately, they don’t seem to have a web site yet). 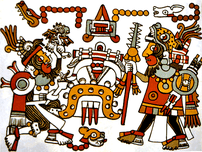 The association represents members of the Mixtec community who typically come from the states of Oaxaca, Guerrero and Puebla. Their goal is to help other members of the community who face persecution for their “outsider” status and faulty Spanish while also promoting the cultural traditions of Mixtecs here. Moises has also formed a cooperative called Nieves Guerrero that makes popsicles and provides work for 40 people who are involved in making the sweets and selling them in street carts. It appears from the story that a section of Tijuana called Valle Verde has a significant number of Mixtecs like Moises. Stories like this provide human insight to the complicated tapestry of Tijuana, which is home to immigrants from all over Mexico. Several years ago, I had the chance to write about a grandmother who sold candy at a street corner and who came with her family from Mexico City to seek a better life in Tijuana. They weren’t Mixtec migrants, but these kinds of experiences are universal and cut across language and cultural barriers. p.s. Trolling through the Internet, I found a Mixtec Language and Culture Club Meetup Group that estimates there may be about 30,000 Mixtecs in San Diego and Tijuana. They are having a fundraiser at San Diego’s WorldBeat Center this Saturday at 7 p.m to raise money for a sewage system in a Oaxacan town of Mixtecs. For more information go here. The Plaza Rio Tijuana is the city’s closest shopping mall to the border and it was starting to feel a little dated. Over the years, other malls popped up around the city with fancier facades, mini-golf and even rollercoasters – but things seemed to stay the same at the Plaza Rio. Now the Plaza Rio is getting a makeover with white, ornate trim that frames the shops nicely and makes everything seem more interesting and new. One of the mall’s best secrets has always been its Cinepolis “V.I.P” movie theater (separate from the main cinema) that offers lounge-style seats and ample space for food trays. This luxurious experience costs about $5, which is a bargain as long as you don’t mind the subtitles in Spanish. A Starbucks is now at the Plaza Rio and you can safely munch on yummy Sinaloan seafood at the courtyard here – or buy some live fish at the nearby pet store. I don’t know for sure, but I’ve heard that Tijuana malls – despite their bells and whistles – never quite reached the sophisticated shopper level found in other Mexican cities because there’s too much competition from San Diego County malls. 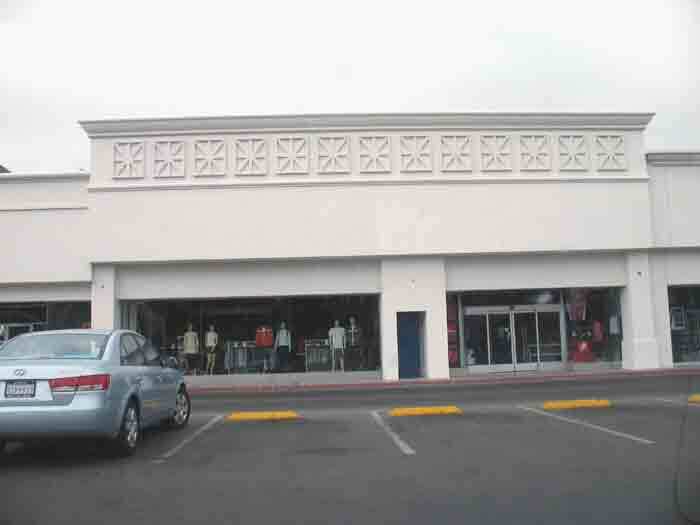 The thinking is that Mexicans with money will do their serious shopping north of the border. Nonetheless, the malls in Tijuana are worth checking out for the scene, even if you aren’t into cowboy boots made out of crocodile and other exotic animal skins. I’ve been reading Alma Guillermoprieto’s stories about Latin America ever since college when I came across an article she wrote for The New Yorker about Mexico’s trash dump communities. Her literary tapestries combine historical context with human stories to explain the region’s current events. In the Nov. 10 issue of The New Yorker, Guillermoprieto writes about Mexico’s narcocultura. The story focuses mostly on the state of Sinaloa, which is said to have been the birthplace of Mexico’s drug trade. It starts with a description of the controversial “Navajas” art exhibit that was intended to get people to confront the excesses of drug violence by jolting them from their crime-dazed stupor. (Read more about “Navajas” in this previous blog posting). It ends with a visit to Mexico City and an explanation of the Santa Muerte robed skeleton figure that has been adopted by drug traffickers. In between, she writes about recent developments in the drug trade that have led to an upswing in violence. 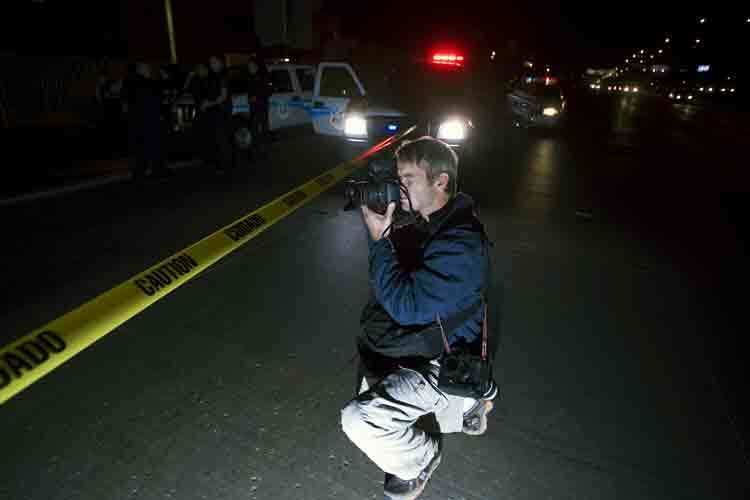 The challenge with writing about any huge subject matter like the drug trade is that there is too much to write about. So you either omit a lot or you dole the information out in chapter-like portions like Guillermoprieto has been able to do over her extensive career. Guillermoprieto is well-versed in another aspect of narco culture that escaped mention in this recent story: Odes to drug traffickers, or narco corridos. In recent years, attacks on members of narco corrido groups have raised questions of whether art is imitating life or vice versa. Meanwhile, I would love to read a story from Guillermoprieto – or any other journalist up for the challenge – that blends the topics of food and drug trafficking by tracing the popularity and proliferation of Sinaloan seafood restaurants. Drug-related shootings and arrests have been associated with several of these food places in Tijuana. One of the many reasons I find the border region so fascinating is that it represents the juncture point of my own mixed identity. My father’s ancestors come from somewhere in Europe, but my mother was born and raised in the rural highlands of Peru. Much of my life-long interest in traveling through Latin America, learning Spanish and studying the region’s history has come from my own attempt to balance out the fact that I grew up in a mostly white, middle-class community. “Mexican Enough,” is a fast-paced trip, full of characters who are also struggling to answer some of her own questions, whether they are members of Mexico’s indigenous communities or young gays in the city. Stephanie paints a vivid picture of the people she meets, but there is little time for her to form roots. (This is apparently due to abbreviating her stay to accept a fellowship). Nonetheless, I enjoyed revisiting parts of Mexico with her and I found myself nodding my head in understanding as she makes cultural gaffes and struggles with the question of what it means to be Mexican/Hispanic/Latino. Is it something that is defined at birth or that can be learned? Her final epiphany says it all, when she equates “the schizophrenia of being bi-racial, of straddling two worlds and belonging to neither,” as helping her understand what it must mean to be Mexican. You can read a review of the book that appeared in The Los Angeles Times.